Using John 2:24-25, Pastor Kareem Singleton implores us to understand the true meaning and purpose for your life beyond it's surface value. At some point, we all come to a moment where we have to make a decision to get to the place God wants us to be. In today's message, The Crossing, Pastor Kareem Singleton gives us a gut check into the harsh reality that we all must have the courage and conviction to get over our own personal hump in the road. Joshua 7:10-13. Today's sermon is a continuation of Pastor Lashun Singleton's series entilted "TAG, You're It!" In this weeks message, Pastor Lashun comes from 1 Samuel 16:1-23. Using the story of when Samuel anoints David, she details the importance of always walking into your destiny amongst all of your circumstances. In this weeks sermon, Pastor Kareem details the importance of having "Real Ones" in your circle. Referencing the text Judges 7:1-7, Pastor Kareem uses the story of Gideon and his 300 "Real Ones" to aid in the message. The Student Is Now The Teacher. Pastor Kareem Singleton speaks briefly on the student becoming the teacher. Pastor Kareem Singleton speaks on the sacrifices needed before crossing over into your promise land. This week Pastor Lashun Singleton speaks on the importance of staying connected together to do GREATER in the Kingdom. You were made to do GREATER! This week Pastor Lashun Singleton speaks on moving into the GREATER things that God has called us to do. Have you been tried by the fire? This week Pastor Kareem Singleton asks an important question: “Have you been tried by the fire?” God has a master plan for you, but it’s a process. You have to endure long enough to see the glory on the other side. Pastor Kareem Singleton speaks on Faith “A story of a shepherd and a sheep”. Final sermon on Conquering The Unexpected Storm. Thank you for tuning in, please subscribe, rate, share and visit www.harvestwc.org. Continuation of Conquering The Unexpected Storm. 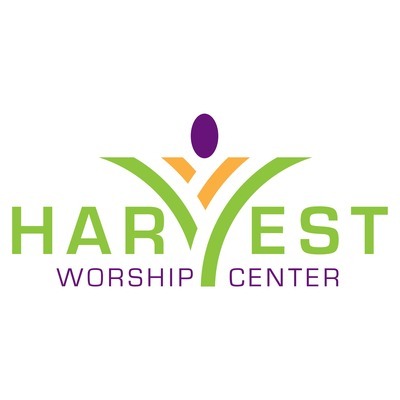 Thank you for tuning in, please subscribe, rate, share and visit www.harvestwc.org. Pastor Lashun Singleton speaks on the unexpected storms that hit without warning. The storm that shakes your foundation, the one that leaves no time to prepare. Thank you for tuninig in please subscribe, rate, share, and visit www.harvestwc.org.